Ella Rhodes previews psychological offerings at the Manchester Science Festival. Think you know the signs someone is lying to you? Think again. 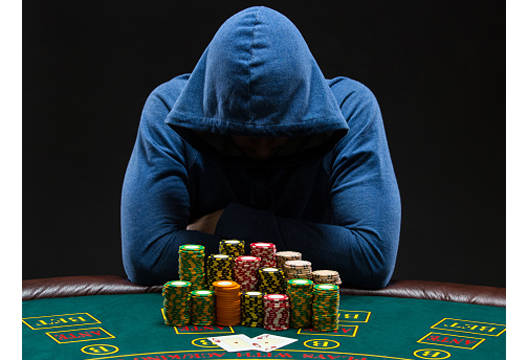 Psychologist Dr Paul Seager (University of Central Lancashire) will be giving a talk on bluffing, deceit and body language in poker at a special gambling-related evening of events at Manchester Science Festival. Many players, and people who see themselves as good lie detectors generally, tend to believe that a person who is lying avoids eye contact or shifts nervously about in their seat. However, one of the keys to accurate lie detection is knowing how people act in non-stressful or truthful situations and using that behaviour as an ‘honest baseline’ for comparing against their current, potentially suspicious, behaviour. Seager’s talk is taking place as part of the Science of Gambling event on Saturday 22 October at Manchester’s 235 casino. There are also several other psychology and neuroscience events taking place at this year’s festival (see below), which is sponsored by Siemens and Lead Educational Sponsor The University of Salford. See manchestersciencefestival.com for ticket information. Immerse yourself in the UK premiere of The Chronarium. This public sleep laboratory aims to transform a bustling public space into a communal haven for relaxation and wellbeing. Lie back and rest inside hanging swings, while an audio-visual experience aims to reset your circadian rhythm for better, more harmonious sleep. The Chronarium was originally commissioned by FutureEverything Festival and debuted over a sold-out run in Singapore in 2015. This collection of six films explores new ways of thinking about the human body, using animation and contributions from leading biomedical scientists. See the journeys made by infectious diseases, battles with bacteria, intercellular memory, the science of sleep, the link between biology and machines and how scientists imagine their own work. The Festival celebrates its 10th birthday this year. Grab a slice of cake and celebrate as you look at the science behind birthday parties, including the psychology of clowns, the maths of cake cutting and the fluid dynamics of chocolate fountains. Delve into the relationship between psychology and climate change as you watch artist Adam Chodzko’s new film, Deep Above. Moving image and sound are used to explore our self-deceptions, examining the zones between the rational and irrational – and mind and body – while adopting the languages of meditation, hypnosis and ‘self help’. Join Guardian science blogger and neuroscientist Dean Burnett and comedian Toby Hadoke for a light-hearted look at the most inefficient, bizarre and irrational workings of the human brain. Hear how the illogical nature of our brains can affect our everyday world, including why a glass of wine might improve our memory.